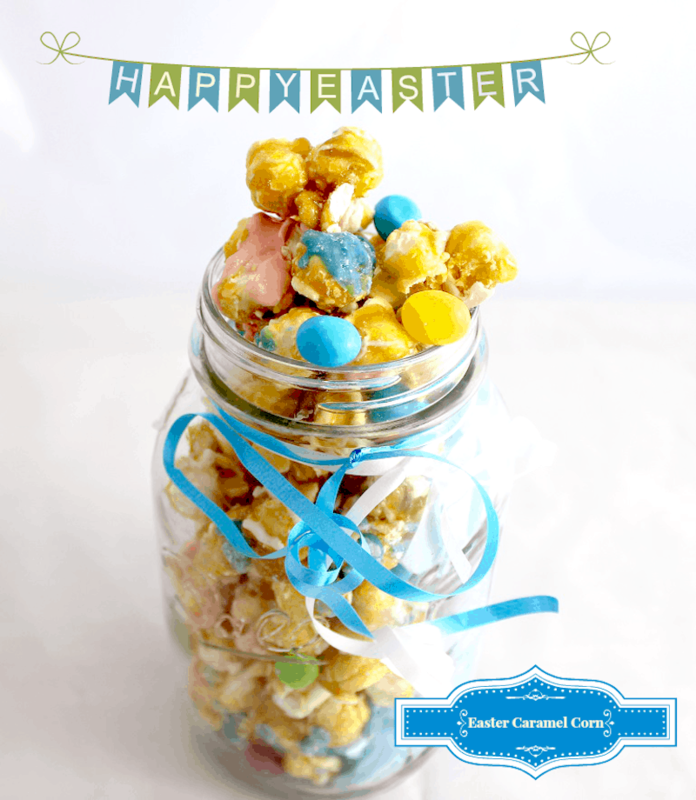 Easter Caramel Corn is such an easy treat to make for your little ones. This colorful snack will make the perfect display for your upcoming Easter gathering. You need a handful of ingredients to get started – but it’s all manageable. I promise! 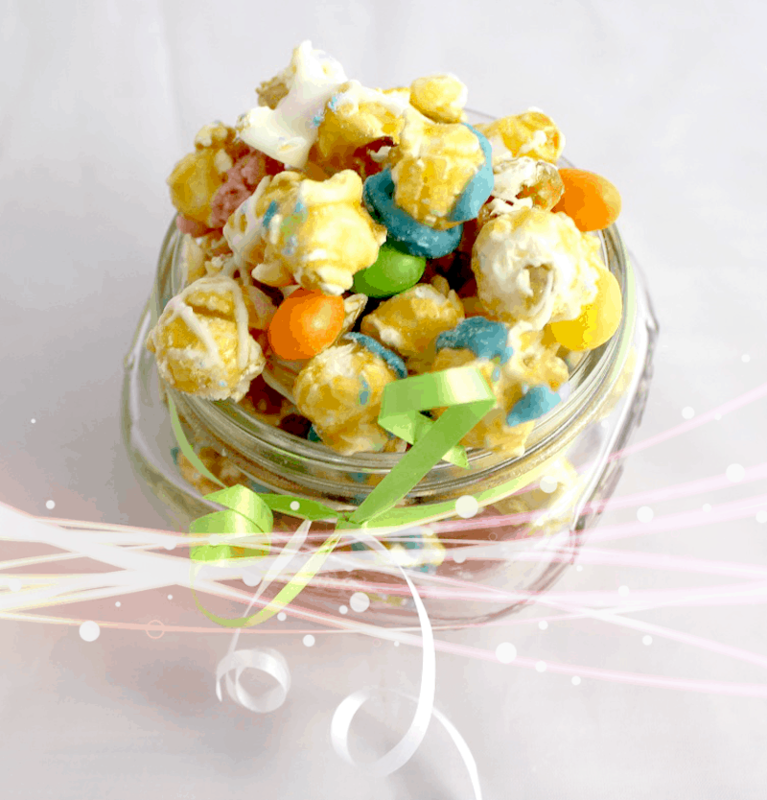 If you are looking to create gifts for loved ones in your life, consider filling a mason jar with the Easter Caramel Corn and then finishing it all off with some ribbon. 1. Preheat oven to 250 degrees F. Place popcorn in a large bowl and set aside. 2. In a medium saucepan over medium heat, melt butter. Stir in brown sugar, corn syrup, and salt. Stir consistently while bringing to a boil. Then boil without stirring for 4 minutes. Remove from heat and stir in baking soda and vanilla extract. Pour caramel evenly over popcorn, stirring to coat. 4. Melt Almond Bark and divide into four small bowls. Add 1 drop of food coloring to three of the bowls, leaving one white. I used green, blue and red to make pink. Let the popcorn sit until the almond bark hardens, about 30 minutes. Store at room temperature in an airtight container. Previous Post: « Daily Diary: Three’s A Crowd? Never! Ah this looks soooooo good and easy too. Great pix as well, good job.